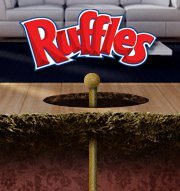 Like the Ruffles Canada Facebook page and click on "The Man Cave" tab on the left side. Get a coupon for a free 75g bag of Ruffles Chips in Spicy Ketchup flavour. Your coupon will be mailed to you within 2-4 weeks. Get a free online voice mail box at Simple Voice Box, K7 unified messaging system or JConnect. For Canada use Budphone.ca. Some forms will allow you to fill in “UL” or “unlisted.” And remember to register your home and cell phone numbers to the National Do Not Call Registry.